The Import Excel or CSV flow component loads tabular data from CSV or Excel-formatted files. 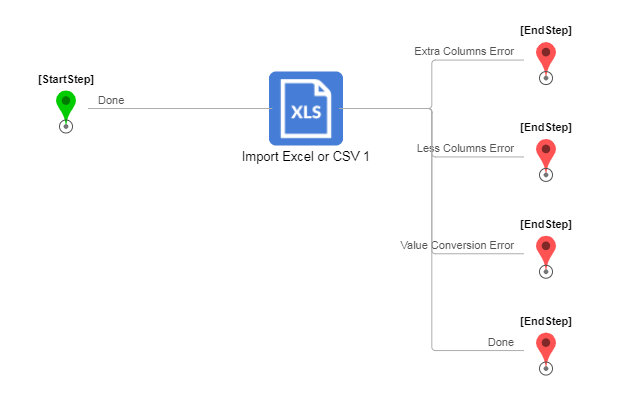 The function of this step is to import an excel or csv file into a data type. The assumption is that the datatype you are importing into has properties that correspond to the columns of the excel file. For example, a CSV file has 2 columns, First Name and Last Name. To process this file, it is necessary to first create a data type with two attributes (string type) and then map the columns to these two attributes. This makes it possible to use the output later in a flow. If the CSV has rows, the output will be an array of items. 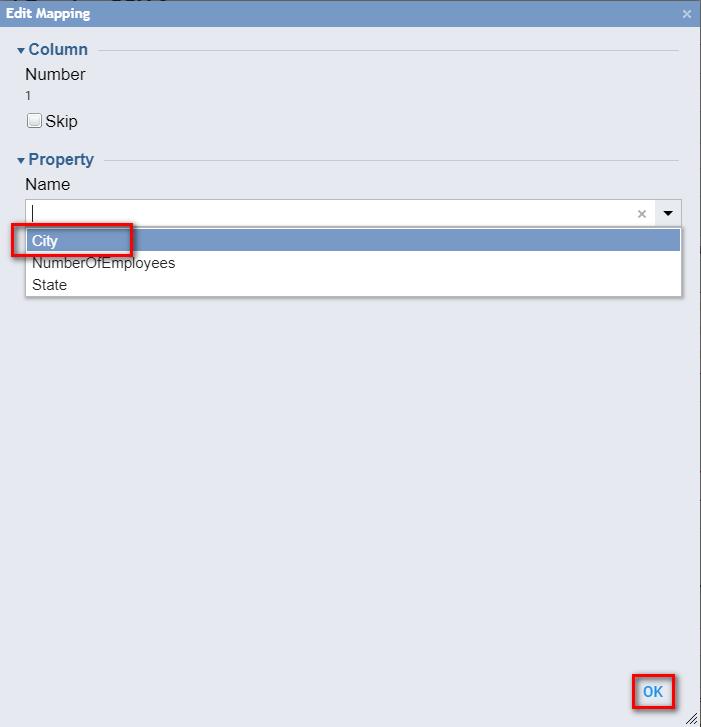 Column 1 to map to the City property and since City is a String in your data type, the step will try converting the value it finds in column 1 to a String. Column 2 would map to State so it will try converting the value it finds to an String. Column 3 would map to the NumberOfEmployees property (Int32), so it will use the Int32 value of the column to populate that property. To use the Import Excel or CSV	component, in the Flow Designer , drag it to the workspace from the Toolbox	panel Data > List > Excel and CSV	category. 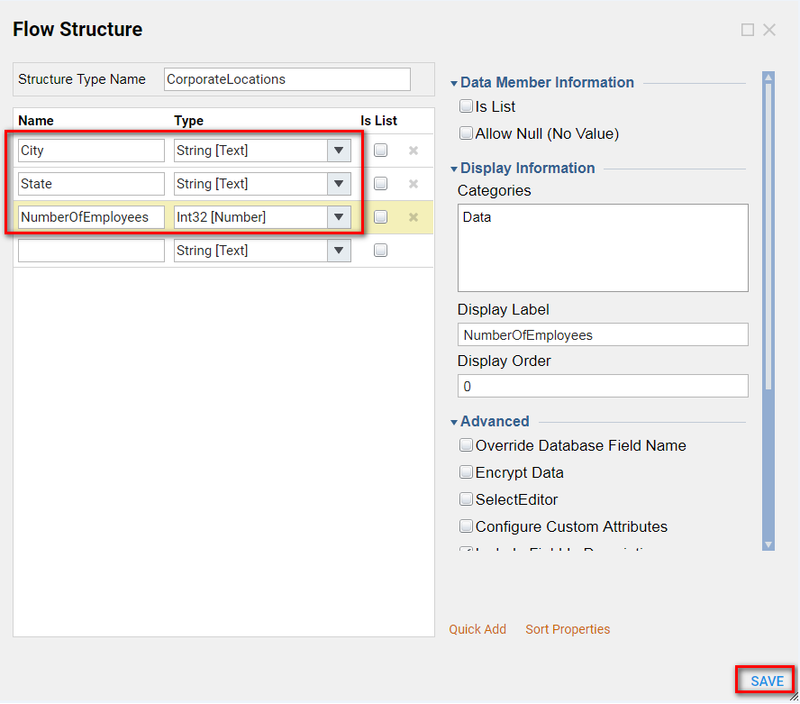 In the Properties	panel, configure the imported tabular data under the Input Data	section, and the data structures to be outputted under the Output Data	section. 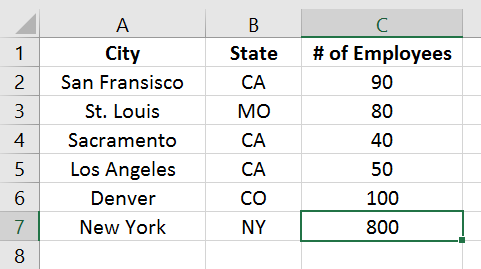 This example will import a list of corporate office locations from an Excel file and output them as string data. Input: City (string) , State (string) , and NumberOfEmployees (int32)	. Within the same Designer	Folder	click the Create Flow	button. Name the new flow and click Create	to open it in the Flow Designer. 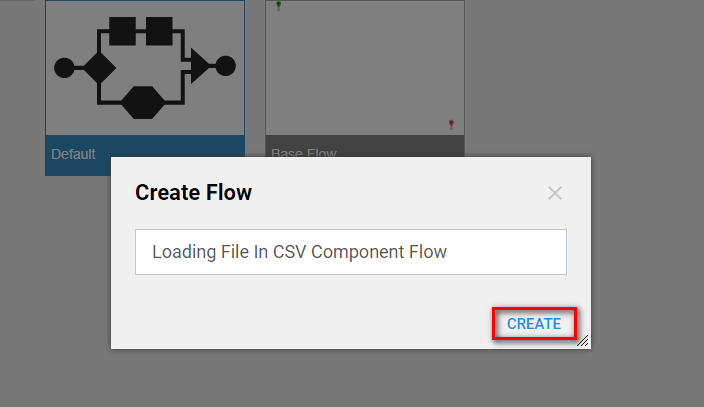 In Flow Designer start-up window locate an Import Excel or CSV	component from the All Steps[Catalog] >	Data > List > Excel and CSV	category. Select and click Add	to add step to the workspace. Next, configure this component&apos;s input data in the Properties	panel. The first row of our file contains column names, so we will start our data collection on the second row by typing "2" in the Start On Row	field. 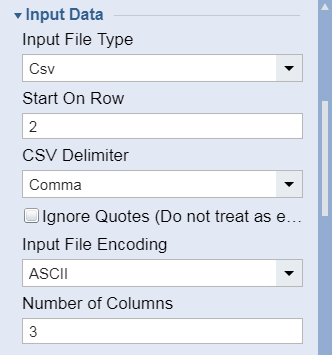 It is necessary to import the first 3 columns of data from our tabular data file, so type "3" in the Number of Columns	field. 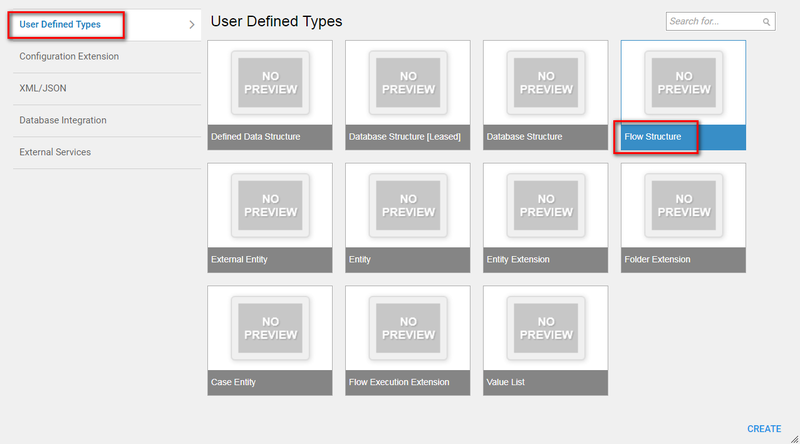 Next, configure the structure in which our imported data should be represented in the system. In the Output Data	section, click the Output Data Type	Pick link. For the example, the data of corporate locations will use the CorporateLocations data type. 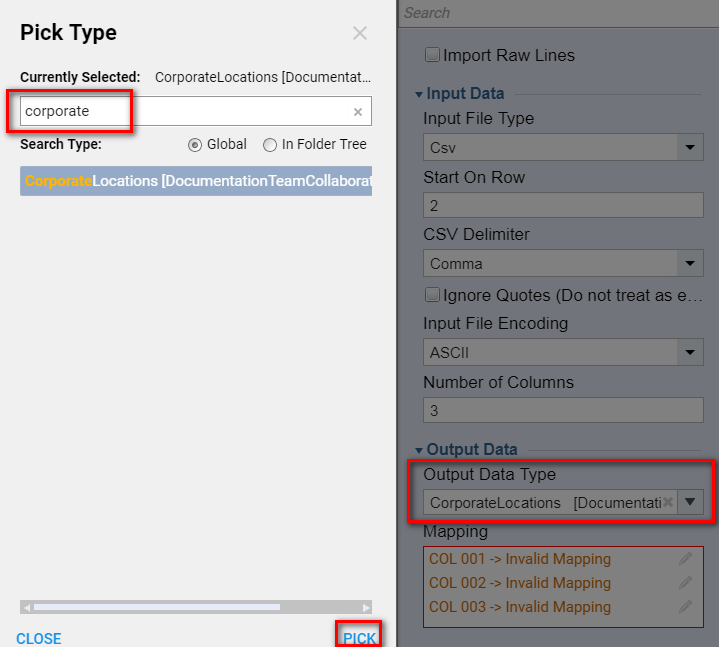 In the resulting Select Entity pop-up, browse to and select CorporateLocations	and click OK	.
A new sub-section called Mapping	appears within the Output Data	section. Because we chose to recognize 3 columns of tabular data, three invalid columns appear. Select the first column and click the Edit	button. 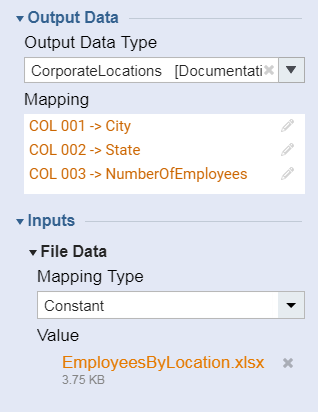 In the resulting Edit object pop-up, notice this column&apos;s mapping is invalid because we have yet to map it to a property of our output data type - CorporateLocations	. To fix this, under Property,	select City	in the Name	drop-down list. Click OK	to close the Edit object pop-up. Configure the remaining two columns, State (string) and NumberOfEmployees (int32) so they show valid. The Import	Excel or CSV	step will use a specific file. In the Inputs > File Data	section, select Constant	in the Mapping type	drop-down list, and then click the Value	selector. Browse to the file of corporate locations and click Open to load the file as input. Finally, connect the outcome paths of our flow. In a production scenario, we would typically connect the exception paths to exception handling steps, but for the sake of our example, connecting all outcome paths to the End Step	will complete our flow. Browsing the flow data from the End	step shows the variables available now from the Excel file.